Since antiquity Greece has been a place for travel, worship, trade, knowledge, arts. In recent decades, Greece has been renown and in the top 10 worldwide as the place to go for a vacation - namely sea, sun and sand. As vacationers’ needs for experience expanded, Greece has unveiled its unspoiled and authentic side. Be it unconditional hospitality (in Greek called “Philoxenia”), tradition, natural beauty, history, antiquity, gastronomy, trekking, sailing, etc. 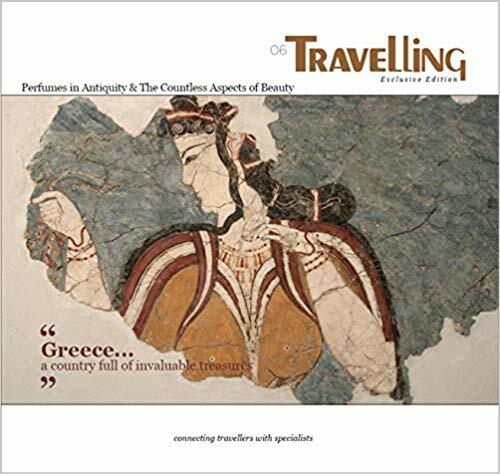 This edition of “Travelling Exclusive” will take you to unknown, but majestic places in Greece for a glimpse of what the traveler can make a life experience, when visiting these places. The island of Crete is the birthplace of the first European civilization, called Minoan, which flourished between 3,000 BC and 1,200 BC and is at the southern edge of Europe, with a coast line of over 1,000 kilometers, in the heart of the Mediterranean. It’s the place “El Greco” was inspired; Anthony Quinn starred in the film “Zorba the Greek;” Linear B writing was identified; and the notorious Mediterranean Diet, or otherwise called Cretan Diet. It’s the place where myths are like history and history is like a myth. Crete alone will offers life lasting experiences you will want to come back time after time, and this edition of “Travelling Exclusive” will give you the direction to make the most out of your visit. The Cyclades are a complex of island with the unique Cycladic houses architecture; white-washed walls with contrasting deep blue window shutters and doors. In this edition, the islands of Ios - Homer’s Island; Milos – the island of Aphrodite; Syros – the capitol of Cyclades; and Kea – the island which is just a stone’s throw away from Athens are featured. Besides the authentic Greek hospitality, these islands have history, tradition, architecture, gastronomy, but most of all, beauty. Another unique area to visit for an unforgettable experience is the Municipality of Monemvasia, in the wider geographical region of the Peloponnese, which consists of five Municipal Departments: Zarakas, Molai, Asopos, Monemvasia, Vies. Over half (52.63%) of its area is classified as mountainous. The old town of Monemvasia is a perfectly preserved medieval settlement still inhabited, a world cultural heritage monument and a major attraction. It has a unique, magical atmosphere with a fascinating history. Finally, the Ionian Islands, among the best loved of Greece’s 6,000 islands, famed as much for their startling beauty and year-round temperate climate, as well as for their rich history. With their rugged shorelines, soaring mountains and deep Mediterranean blue waters. Inhabited since the Paleolithic Era, filled with cultural attractions that allow visitors to peer into Greece’s historic and mythological past. Olive trees are all over the country, it is the blessed tree of Greece in mythology, history, science and diet. The gathering of Olives is another activity that will give the visitor a once in a life time experience, which can be coupled with cooking lessons/holidays. Info Publications Ltd. is the leading publishing house for the Greek travel and tourism industry since 1991. Among its leading publications are: “Hellenic Travelling”, the essential monthly guide for the incoming and outgoing travel professionals, “Travelling News,” the travel newspaper and daily newsletter for travel and tourism in Greece. Travelling News news site for travel and tourism in Greece. Travel and Tourism directory for Greece.